The demerits of cloud computing lie in the velocity, bandwidth, and privacy of data. 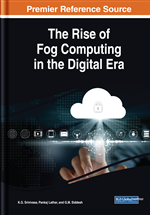 This chapter focuses on why fog computing presents an effective solution to cloud computing. It first explains the primary motivation behind the use of fog computing. Fog computing, in essence, extends the services of the cloud towards the edge of the network (i.e., towards the devices nearer to the customer or the end user). Doing so offers several advantages. Some of the discussed advantages are scalability, low latency, reducing network traffic, and increasing efficiency. The chapter then explains the architecture to implement a fog network, followed by its applications. Some commercial fog products are also discussed, and a use case for an airport security system is presented. With continuous innovations in the fields of Internet of Things(IoT), Artificial Intelligence and Virtual Reality, there is an increase in the abundance of data. These technologies are changing the way people live, commute and work. With future 5G applications, data from homes, communities, hospitals, factories and other sources is expected to grow from 89 exabytes per year in 2016 to 194 exabytes per year by 2020. Current Cloud-only architectures cannot keep up with this increase in data. Fog computing poses a promising solution to this problem. In order to enable data-dense use cases, Fog architectures selectively move compute, communication, storage and decision-making choices nearer to the network edge, where the source of the data lies. In this way, Fog computing establishes the missing link in the cloud-to-thing continuum. Is it frequently mistaken with edge computing, but it differs from edge computing in that fact that Fog works in tandem with Cloud, whereas edge computing excludes the Cloud. Also, Fog has a hierarchical structure whereas edge computing is defined by a limited number of layers. Fog computing can be defined as a horizontal, system-level architecture that distributes computing, storage, control and networking functions closer to the users along a cloud-to-thing continuum. It is an extension of the Cloud-based computing model and hence, all the benefits of Cloud are preserved in these extensions including containerization, virtualization, orchestration, manageability, and efficiency. Fog employs a considerable amount of storage near or at the end-user whereas Cloud uses distributed large-scale data centers. Fog carries out significant quantity of communication near or at the end-user whereas Cloud communicates through a backbone network. Fog establishes a substantial amount of management near or at the end-user whereas Cloud is controlled mainly by gateways. Cloud and Fog are not two independent choices rather they are interdependent, for example, coordination among devices in the Fog may partly depend upon the Cloud. In this manner, they also form a mutually beneficial continuum. Fog provides a strategic option to certain functions while others do well in the Cloud. In fact, the interface between Fog and Cloud is a major aspect of Fog research. Fog computing has emerged due to two main factors - abundance of data and privacy. To explain the factor of ever growing data, consider Endomondo, a fitness and health tracking application with over thirty million users. Endomondo has released certain data statistics of their application. The statistics show that an average workout of a user generates 170 GPS tuples, and in a month’s time this number can easily reach to around 6.3 million tuples. This in turn calculates to around 25,000 tuples per second. Within a single application, there is a considerable amount of data with high velocity. Consider then the real-time data sources in a typical city - data from health care chips, sensors in connected cars, sensors in pollution monitoring systems and many more. It is estimated that an average person creates around 650MB of data every day, and this amount is to double by the year 2020. Also, autonomous driving cars will generate terabytes of data every day. Cloud architectures do not have the capability to deal with such large amounts of data and velocity in real time. The second factor that cannot be dealt with by Cloud servers is the privacy of data. Many users are not comfortable releasing their data onto the Cloud even if it provides for detailed analysis and reports. Therefore the need arose to design computational and storage devices nearer to the source of the data and at the same time require connectivity to the Internet. Such devices are called edge devices and can collect and work on local data streams. On this note, Fog architectures have the capability to work on large amounts of data with confidentiality.